At Integrity Resource Center we’ve created a path to help others learn, model and teach God’s principles in their workplace. At 27 years old, Erik attended one of our local events and began fast tracking our process. In a few brief weeks, Erik had finished our FIRE course, signed our FIRE Covenant, began modeling the principles in his workplace, and volunteered at our next event! Erik even moved into the teaching mode by encouraging a friend to go through the online FIRE course with him! Erik’s passion is inspiring. May God raise up many young men like Erik! Are you living your faith at work? Watch a short video about the FIRE in the workplace assessment. 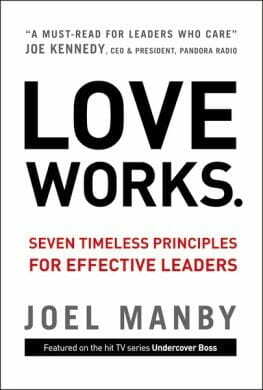 Manby challenges leaders to allow integrity and faith to guide leadership decisions, outlining seven time-proven principles that break down the natural walls within corporate cultures, and cultivating an atmosphere that builds long-term success. Purchase here. Originally published December 21, 2012.